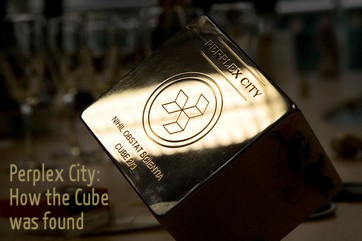 Perplex City, the £100,000 game to find a valuable cube buried somewhere on the planet, is building up to a climax – and they&apos;ve set us a particularly tough task as part of it. One strand of the game involves solving puzzlecards, 256 puzzles ranging from the easy and the familiar right through to the all-but impossible. Card #256 is one of the last wave of puzzles to be released, and it seems to be a test of whether it&apos;s possible to track down one individual with no details about them other than a photo. It&apos;s a real-life test of six degrees of separation. Check out the photo below. This is the guy we need to find – he could be anyone, anywhere on earth. We&apos;ve been given a hint that his name is Satoshi. 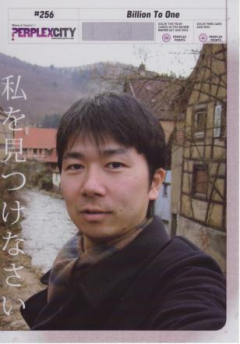 The location he was in when he took the photo of himself has been identified by players as Kayserberg in Alsace, near where there used to be a training college for a couple of Japanese multinationals. Progress, but still not a lot to go on, since he could be on the other side of the world by now – and probably is. The text down the side translates as “find me” – can you help do that? The chances are you won&apos;t know who it is, but maybe you know someone you could ask and take us one step further down the six degrees? And if you can help at all, go here to the website we&apos;ve set up. Categorised under Culturish, Wired World, tagged under Kayserberg, perplex city, satoshi.